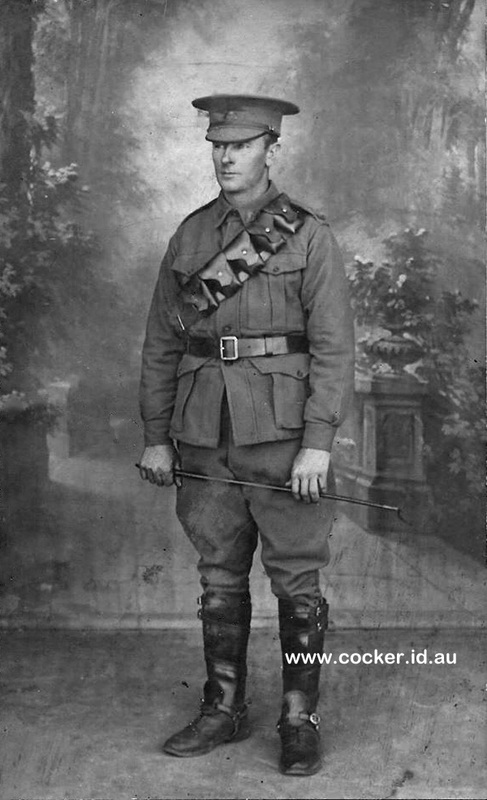 3-Stephen Peter Dobson was born on 13 Oct 1881 in Exton, Tasmania and died on 29 Jun 1959 at age 77. He served in the First World War. Stephen married Annabelle Maria Lancaster, daughter of Robert Lancaster and Sarah Elizabeth Yaxley, on 24 Dec 1918 in Penguin. Annabelle was born on 7 Dec 1892 in Ulverstone, Tasmania and died on 2 Jul 1971 at age 78. Stephen married Annabelle after returning from the First World War. He enlisted in the army, serving in France as a driver with the 1st Division Ammunition Column. After his marriage he conducted a delivery service at Penguin, as well as training horses. In 1921 Stephen and Belle were able to acquire the old homestead and portion of the original Dobson farm through the Repatriation Commission Soldier Settlement Plan. In 1928 they acquired more land adjoining the original acquisition. They built a new home, leasing the old homestead until it was burnt down. Cattle and sheep were raised on the farm. Stephen also engaged in dairying. Their two children Zeta (Hudson) and Cedric were both born at Pinewood. Zeta when six years old, has memories of Grandmother Sarah on one of her periodic visits, sitting in her favourite armchair wearing one of her little white bonnets. Stephen and Belle were popular and respected residents of Pine Road with Auntie Belle being in great demand to help friends and neighbours when they were ill. Although untrained she had a general family nursing background acquired from her mother, Mrs. Robert Lancaster who owned a nursing home in Penguin where all local babies were born. Stephen and Belle retired to Hamilton Street, Ulverstone after many, many years on the old family property. Stephen died there on 21st September, 1970 closely followed by Belle on 2nd July, 1971. They were dearly loved by their family, relations and friends because of their love of visitors, their many kindnesses and their sincere hospitality. 4-Zeita Elizabeth Dobson was born on 25 Mar 1920 in Pine Road, near Penguin. Zeita married Clarence Harold Henry John Hudson, son of Charles David Hudson and Hanna Maria Rawlings. 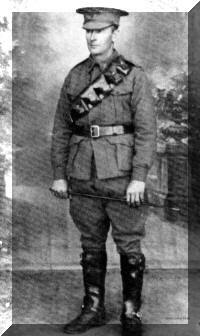 Clarence was born on 11 Aug 1917 in Mrs Treweeks, Mount Street, Burnie and died on 10 Dec 1981 at age 64. They had four children: Wayne Charles, Wendy Maree, Barry Graeme and Brenton Leo. 5-Wayne Charles Hudson was born on 29 May 1948. Wayne married Elizabeth Morrison. Elizabeth was born on 7 Jun 1952. They had three children: Bridgett, Gemma and Gray. 6-Bridgett Hudson was born on 30 Oct 1977. 6-Gemma Hudson was born on 30 Jul 1979. 6-Gray Hudson was born on 8 Aug 1981. 5-Wendy Maree Hudson was born on 20 Nov 1950. Wendy married Darryl Geoffrey Hope. Darryl was born on 9 Jan 1944. They had two children: Allison and Emily. 6-Allison Hope was born on 30 Nov 1973. 6-Emily Hope was born on 18 Sep 1979. 5-Barry Graeme Hudson was born on 26 Jul 1956. Barry married Dianne Saunders. Dianne was born on 23 Dec 1956. 5-Brenton Leo Hudson was born on 20 Aug 1959. 4-Cedric Robert Dobson was born on 23 Nov 1922 in Pine Road, near Penguin. Cedric married Mona Kubank. Mona was born about 1924. They had five children: Stephen, Clarence, Allan John, Lorraine and Peter. 5-Stephen Dobson was born on 21 Aug 1952 and died on 15 Mar 1972 at age 19. 5-Clarence Dobson was born on 2 Mar 1953. Clarence married Sharon Fidler. Sharon was born on 13 May 1957. They had two children: Melanie and Adam. 6-Melanie Dobson was born on 11 Jun 1979. 6-Adam Dobson was born on 22 Dec 1984. 5-Allan John Dobson was born on 19 Apr 1955. 5-Lorraine Dobson was born on 3 Sep 1957. Lorraine married Denzil Lillico. Denzil was born on 24 Jan 1955. They had three children: Lacrecia, Nathan and Megan. 6-Lacrecia Lillico was born on 7 Feb 1977. 6-Nathan Lillico was born on 28 Aug 1978. 6-Megan Lillico was born on 15 Jan 1983. 5-Peter Dobson was born on 23 Nov 1959.